Crazy, I know, but cheese making is sometimes so complex, that the only real way to teach someone to make it other than a face to face class is via video. It truly is the teaching medium that I prefer and I love making cheese and cheese making videos to share with you all. So let’s take that to the next level and allow me to share some new cheesemaking resources from other cheese makers around the globe. I’ve been actively making cheese making videos now for about 8 years and just love the process of making the cheese and sharing it with the world. Over this time, my videography has improved as well as my level of skill in home cheese making, so I believe that not only do I make a mean looking and tasting cheese, usually on my first attempt, I also make fairly good video tutorials for free via YouTube. So call me tickled pink when a fellow cheese lover from the UK released this cheese video which is more like a big thank you for all the work I put into the cheesemaking community. Have a look at aga’s fan film here (don’t forget to share it if you like it). Don’t you think it is absolutely brilliant? It had my family and me in fits of laughter and I was humbled and flattered to be part of this amazing community of cheese makers. Well done aga! Of late and other than my own cheese channel, a few more cheese making channels have popped up that I now actively follow. They are made with passion by their creators who have their own individual flare that I enjoy. Firstly, there is Jobe’s Cheese Lab. Created by a young man named Jobe from the USA, who has a passion for experimenting with cheese just to push the boundaries of the cheese making process. His cheeses never cease to amaze me especially some of the weird ones that I have not tried yet like the soy sauce brined Gruyere that I believe turned out quite well. Next is Lisa from Cheese52, also from the USA. Her channel is relatively new, but the production quality is good and the recipes easy to follow. I like the way that she approaches local cheese makers in her area to ask if she can replicate their recipes. I especially liked the recipe for Drunken Cow Cheese where she sources the grape must from a local winery to marinate her cheese. You can watch that video below. Although a small selection, these channels are informative and entertaining and worth following as they grow to become fully fledged cheese making resources. Well done to both Jobe and Lisa for your amazing videos! Have I missed any dedicated cheese making channels on YouTube? Let me know in the comments below and drop a link so I can add it to the next cheese making resource post. As always curd nerds, don’t forget to Keep Calm & Make Cheese! Salt is an essential ingredient in cheese making. Not only does it add flavour to the cheese, it helps to dry the curds during draining by controlling whey expulsion and causing the curds to shrink. However, the primary reason for salting cheese is to retard or halt the bacteria cultures continuing to convert lactose (milk sugar) into lactic acid. It will help to kill harmful bacteria and other fungi growth when used as a brine for salting after pressing or as a simple wash during maturation. Salting is also essential in the development of a natural rind. Saturated salt brine solution – A mixture of salt and water are mixed together and the cheese is left submerged for a given length of time (most other semi-hard and hard cheeses). The table only goes to 26% as at 26.395% brine is fully saturated (at 15.6°C) and additional salt will not dissolve in the water. The table below is at standard conditions of 15.6°C/60°F. When using salt for cheese you should only use non-iodized salt. For most of my brined salted cheese, I use an 18% solution which is commonly known as a fully saturated brine. Although the salt content of the brine can be higher, I find this amount of salt to be perfect for Salting cheese. It provides adequate salt absorption during the brining process. Here is a video tutorial I made that shows how to make and test an 18% brine solution for cheese making. Additionally, have a listen to this podcast episode where I talk about brine. Note the use of the raw egg to ensure that you have reached the correct saturation. If it floats and about a 2cm circle is above the surface, then the brine is at about 18% saturation. Make sure you add a Tablespoon of white vinegar and a teaspoon of calcium chloride to balance the pH to approx 5.3. This ensures that your cheese will not become slimy during brining due to calcium ion exchange between the brine and the cheese. You may have to use pH testing paper to measure the pH of your brine. You can reuse your brine solution many times. Make sure you top it up with at least 2 Tablespoons of salt after you remove your cheese to replace salt absorbed by the cheese wheel. Store it at 13°C/55°F to reduce any mould growth. Feta in an 18% Brine Solution using leftover whey as the liquid. What Type of Salt Should I Use? Basically cheese salt is normally a non-iodized salt. It is the non-iodized part is the critical factor when it comes to cheese making. Iodized salt though won’t help your cheese at all, as the iodine in the salt inhibits the cultures and bacterias you WANT in your cheese. Fine sea salt or flakey kosher salt will be fine, but remember that not all salts weight the same as shown in this salt video. I tend to use fine grain non-iodized salt (dairy salt) without an anti-caking agent for all my cheeses. It works perfectly fine for the home cheese maker. Hopefully, you now have a better understanding of salting cheese and how important it is to get it just right. Too little and unwanted bacteria or moulds may infect your cheese and too much makes it inedible. Who would have thought that this simple compound was so essential to cheese making! Tilsit is a semi-hard cheese made from cows milk that develops a rind with the aid of Brevibacterium linens (the aroma producing bacteria) during the ripening phase. It can be made from either raw milk or pasteurised milk. It is washed with a brine solution during maturation to encourage the light red smear on the rind. This recipe is the traditional one that originates from East Prussia and not the Swiss version of the same name. 2.5ml (½ tsp) liquid rennet IMCU 190, diluted in ¼ cup non-chlorinated water. 2.5ml (½ tsp) Calcium Chloride, diluted in ¼ cup non-chlorinated water. Cool saturated brine solution (18%). Warm your milk to 35°C (95°F), stirring gently whilst bringing up to temperature. Turn off the heat. Sprinkle culture and B. Linens over the surface of the milk and allow to rehydrate for 5 minutes. Stir thoroughly in an up and down motion without breaking the surface of the milk. Cover and allow to ripen for 30 minutes at the target temperature. Add the Calcium Chloride solution and mix well. Add the rennet solution to the milk and mix thoroughly using the same up and down motion for no more than 1 minute. Cover and allow to set for 50 minutes. Check for a clean break. If necessary, leave for another 10 minutes then check again. Cut the curds into 1.25 cm (½ inch) cubes. When the curd is cut, cover and allow to heal for 5 minutes. Slowly increase the heat to 43°C (110°F) over 40 minutes, stirring to prevent matting. Cover and stand for 10 minutes. Using a ladle, ladle the curds in the unlined 165mm mould. Place the follower on top. Place the mould back into the pot to keep the curds warm. Flip the mould every 15 minutes for the first hour. Don’t remove the cheese from the mould during the first hour. After the first hour, flip the cheese out of the mould, then replace back into the mould, every 2 hours for 6 hours. This will help firm up the cheese and form a smooth rind. Leave the cheese in the pot overnight. Next morning, remove cheese from the mould. Place in the saturated brine solution for 12 hours, turning over once at 6 hours. Remove from the brine and place on a cheese mat in a ripening box. Place the lid on diagonally so the cheese can still breath at room temperature for 1 day. Turn once during the 24 hours. After air drying, you will find the cheese a little bit tacky. Ripen at 13°C (55°F) and 90% humidity, turning daily for even ripening during the first week. After the first week, begin to wash the rind twice weekly with a simple brine solution (1 cup cooled boiled water + 2 teaspoons salt). You will notice that this cheese starts to yellow then turn slightly orange as you continue to mature it. Keep washed twice weekly for 2 months for a mild flavour and up to 6 months for a stronger flavour. This cheese is simply amazing! Well worth the wait. You can pick up supplies for Tilsit cheese at our shop https://www.littlegreenworkshops.com.au. 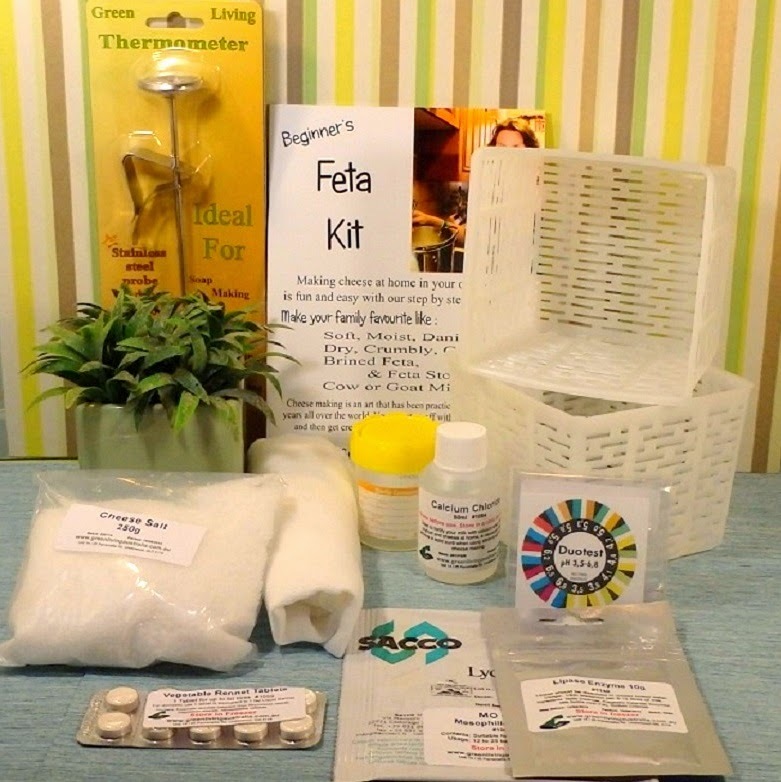 I recommend the Italian Cheese Kit with the addition of Brevibacterium Linens, as it contains most cultures, supplies, and equipment you’ll need to make this cheese. Looking to take up cheesemaking sometime soon and this channel has provided all the information necessary to get started! I have been learning to make cheese for the past year. Gavin's podcast and video series has been a tremendous resource for me. His love for the cheese-making craft is evident in the amount of research he will perform in order to answer a listener's cheese question. All thumbs up for the amount of time and energy he puts into his quality podcast! ...And he cracks me up with his attempts at pronunciation! If you are interested in anything to do with cheese, this is the podcast for you. 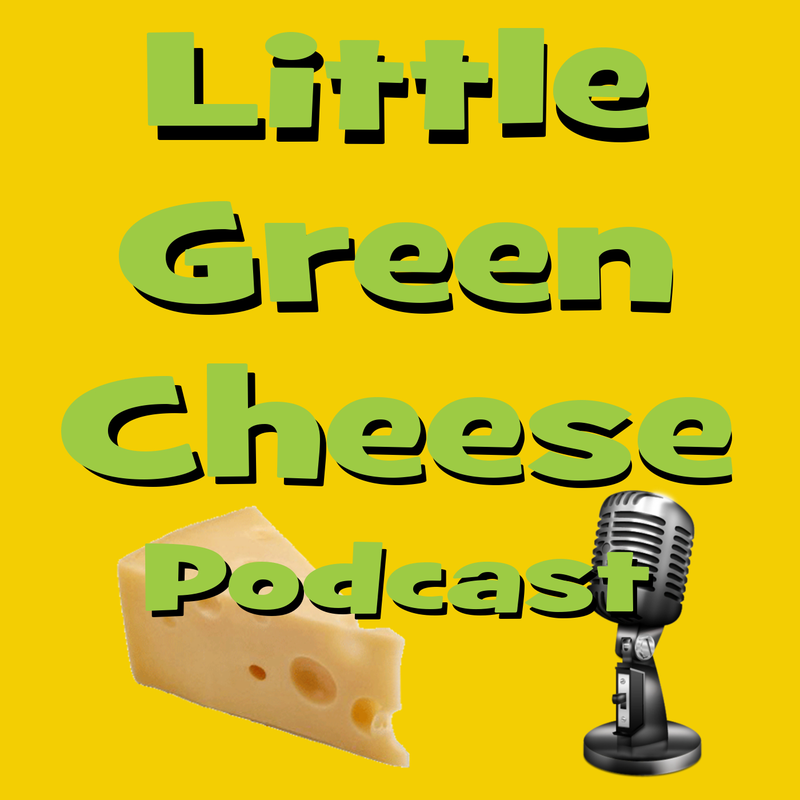 Host Gavin Webber takes you through an aspect of cheese making, interviews with other people who are doing it, a current cheese-related news segment, and answers questions listeners have submitted in each episode. I've been quite amazed at his depth of knowledge, and he's provided answers to several problems I've encountered as well. Top rate! Absolutely fantastic. My favourite cheesemaking resource out there. Listen from episode one, and by the time you’re done, you’ll have learned as much or more than you might at a professional cheesemaking intensive. Resident curd-nerd and host Gavin comes off quite knowledgable in the subject of cheese making. He’s always ready lend some advice by answering listener questions and his Aussie drawl only adds to the nonjudgmental teaching theme of the podcast. All in all a great podcast. ? Gavin's podcast is so interesting and informative, he knows so much about home cheesemaking and he shares his knowledge with his listeners and answers listener questions on the show which is also extremely helpful! I am listening to them all for the second time and finding lots of new useful pieces of information. There are also interesting bits of cheese news from around the world. Thank you Gavin! This is THE definitive guide and advice centre for anybody who wants to make cheese. What Gavin doesn't know about cheese isn't worth knowing. Enjoyable and informative. I have just started making cheese and I have been binge listening to these podcasts. I'm hooked. Just made my 4th cheese today and bought the ebook too. Thank you Gavin for sharing your secrets and making my cheese making life easier! Gavin Webber explains every part of the cheesemaking process simply and clearly, and in an entertaining fashion. A down to earth Aussie bloke, no hype, but fun and educational. Coupled with his YouTube videos, he offers every resource a home cheesemaker could want. If you're new to the hobby - this podcast is definitely for you. If you've been at it a while, you'll still learn something. Oh, and he makes the effort to give measurements in both Imperial (for his U.S. listeners), and metric (for the rest of the world). He couples being knowledgeable with the ability to impart it. 5 stars. I'm so excited to find a podcast on Cheesemaking! Covers all kinds of home cheese topics. Thank you! This is the most comprehensive cheesemaking podcast that I have found! Thank you Gavin. Very helpful informative podcasts, full of useful, practical information and advice. Great podcasts, entertaining, a must for all curdnerds. Gavin is my first choice when looking for cheese recipes or videos showing how to. This is a very good podcast. If you want to know all about cheese this is the podcast for you. I am just starting my cheese making adventure and am methodically listening to each podcast episode. Very informative "process" information as well as personal interviews of home cheese makers. A perfect blend of education and entertainment. This is a very informative cast. Practical and entertaining. Glad I found it. If you're a curd-nerd you'll love these minutes on technique, maturing-updates and interviews with home cheesemakers like yourself! Finaly real home chesse making pod is here! yey! If you are into making chesse this one is a great pod for you! Really enjoyable podcast for all us keen and committed home cheesemakers....really great to hear from someone else who enjoys cheesemaking so much. Lovely casual, friendly manner, good format, great interviews with other keen cheesemakers....keep up the good work, Gavin! !